I'm so excited to be partnering with Crave Boutique today for a style collaboration and giveaway! I absolutely love this store because they're located in Missouri and everything in their store and online is under $50! I couldn't pass up this fun take on the little black dress. The cutouts make it unique, and the cut is so flattering. One of my favorite things about LBDs is that they are the perfect palette for adding in fun accessories like my purse & bracelet. 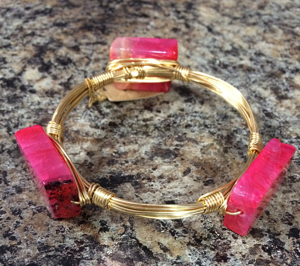 I nearly squealed when I saw they got these amazing Reece & Blair stone bangles in. They have them in 5 different colors and I'm obsessed with all of them. I chose one in 'Lily' because lavender/lilac is my favorite color (and wedding color), and today we're giving one away in 'Rose'! 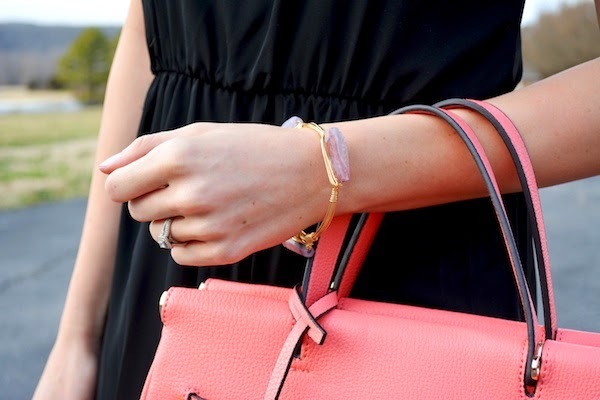 These are becoming a huge trend, and that pink will be such a cute pop of color in the spring and summer. The bracelet that will belong to one of you guys in just a week! adore the lbd and pop of color for spring! I really like the LONG SLEEVE TUNIC DOLMAN TOP-BURGUNDY. You look so elegant and graceful in your LBD Jacy, its a perfect style and fit, love the stunning coral bag! Hope you're having a good week so far. I am in love with little black dresses and have been looking for the perfect one for a long time. AH this dress and purse are gorgeous! So pretty darling! I love all of Crave's dresses! All affordable and cute. So so pretty Jacy!!! Loving the pop of color!! I have shopped @ Crave and it is a great store. I have bought the Dolman and Piko tops and they go with everything from leggings to denim. Their store is located in the town I live so it makes it easy to go see the items in person too. They have lots of great items for a budget friendly shopper. Awwww. Sad face for being an Aussie. This is an awesome giveaway J! Excuse my absence darling, checking up on what you've been up to now! OMG cute dress! Never heard of Crave Boutique before, I definitely will have to check it out! Looking beautiful as always. I love that dress on you and the bangle and handbag are the perfect accents! Oooh, LOVE that bracelet. Gorgeous! Such a unique bracelet, thanks for the giveaway! The coral bag is amazing. I love that colour now that spring is here. 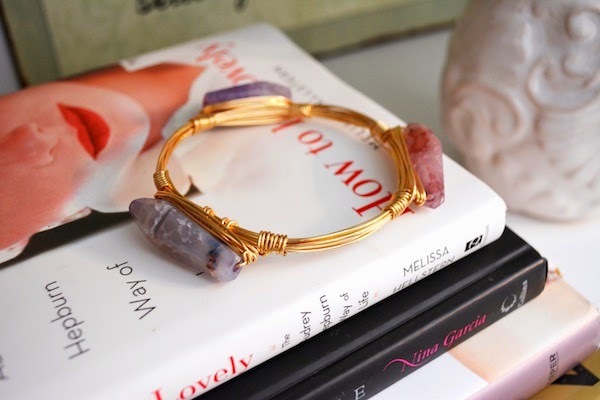 I'm always on the search for unique bangles, those are perfect! Love that bag Jacy! Gorgeous color! I just found this blog and absolutely love your style! 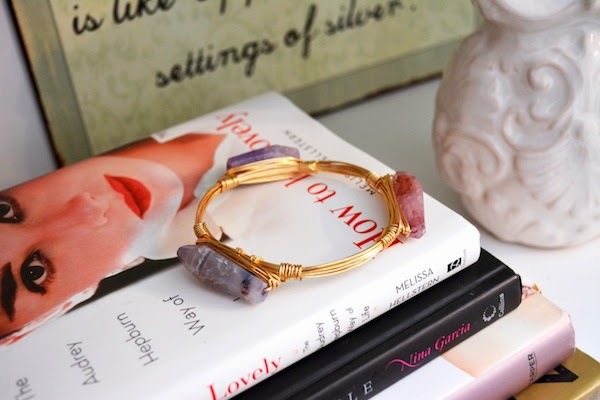 I love that bangle...it's beautiful!! Super cute dresses. Easy outfit. Looks amazing! your fashion styling, hair, makeup, and accessories are perfection! I adore your look!